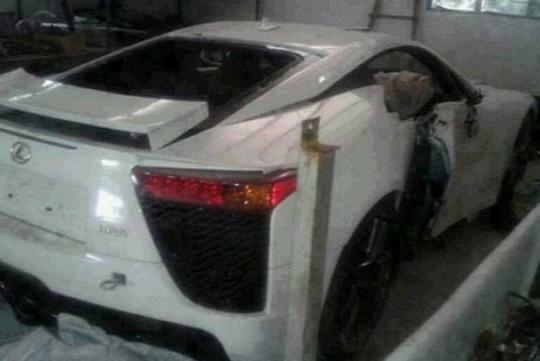 To build this particular model dubbed the LFA, the luxury division under Toyota, Lexus, took a whole decade. That's not to mention the additional ten days required to find blemishes the model might potentially carry. However, it seems that the Chinese don�t need that long to blemish the supercar. 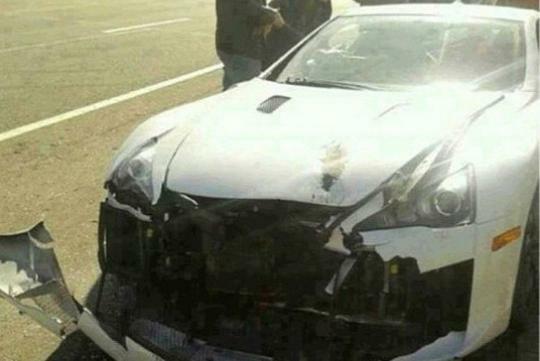 Recently, there had been a crash in China involving a while Lexus LFA - a hard to find model that costs 5,988,000 Yuan or around US$970,000 after tax. 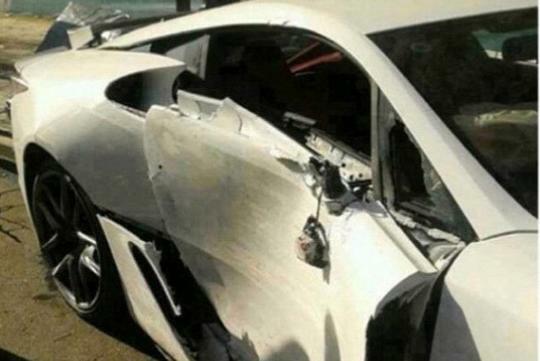 The owner will have to fork out more out of his pockets to fix his supercar. The car is mostly made of carbon fibre and is thus harder to fix. As you can see from one of the images, the owner has crashed nearly half the car from the front so we can safely assume that the air intakes are no longer in working shape. What a misfortune it is for the V10 supercar that hasn't seen much tarmac yet! farmers turn millionaire overnight what else is new? "it seems that the Chinese don�t need that long to blemish the supercar." Quit mentioning the race. It can happen anywhere in the world.